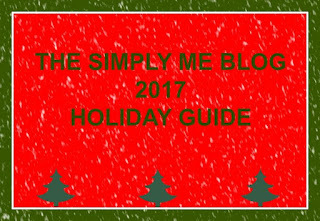 Simply Me: PBS MUST HAVE HOLIDAY GIFTS FOR HISTORY FANS! PBS MUST HAVE HOLIDAY GIFTS FOR HISTORY FANS! My oldest son Brandon Jr is obsessed with all things history. I myself love history so we really bond over this. Every year he request we make a trip to Gettysburg *we live in PA. And my brother and him are planning a road trip to drive down the East Coast and visit all the historical sites on the way. He just loves it! We are getting a new house in March of next year and him and my youngest are finally getting their own rooms. I let them both pick how they want to set up the room. My youngest is Paw Patrol all the way and super heroes. To Quinn it works and I just let him go. My oldest, Brandon, wants to put up maps current and old maps. He has the Declaration of Independence he wants to get framed and hung up on his wall. Over the summer he got to go to Thomas Jefferson's house in Monticello and write his name using a quill pen, he wants to get that framed as well and placed on his wall. And he just can't wait to see what he gets on him and my brother's trip for his room. So when I say my son loves all things History I really do mean it! Titanic and Me - For the first time, this unique account of one of the most famous disasters in history brings together - through their descendants - the individual stories of those whose lives were changed by the Titanic. The sinking of the Titanic in 1912 affected thousands of families and this fascinating program explores how the impact of the disaster is still felt a century later. Every person connected to the ship had a story, from the builders to the passengers, the survivors to the victims, those who came to the rescue, and those who ignored the S.O.S. These tales of loss and love, triumph and tragedy, are a part of the Titanic legacy that continues to live on in their descendants and are explored here. Frederick Law Olmsted: Designing America- Frederick Law Olmsted: Designing America is a biography of the man who made public parks an essential part of American life. Olmsted made enormous contributions to the American landscape and is known as the father of American landscape architecture. He was co-designer of Central Park, head of the first Yosemite commission, leader of the campaign to protect Niagara Falls, designer of the U.S. Capitol Grounds, site planner for the Great White City of the 1893 World's Columbian Exposition, planner of Boston's "Emerald Necklace" of green space and of park systems in many other cities. Olmsted's pioneering design of the public parks and parkway systems in Buffalo, N.Y. is the oldest coordinated system in America and is listed on the National Register of Historic Places. To Olmsted, a park was both a work of art and a necessity for urban life. Olmsted's efforts to preserve nature created an "environmental ethic" decades before the environmental movement became a force in American politics. With gorgeous cinematography, creative animation, and compelling commentary Frederick Law Olmsted: Designing America presents the biography of a man whose parks and preservation are an essential part of American life. The Civil War By Ken Burns - The Civil War, the Emmy® Award-winning nine-part series from Ken Burns, is now fully restored to high definition, achieving the optimal picture quality originally intended. This six-disc collector's set also features over two hours of new bonus video. Hailed as a film masterpiece and landmark in historical storytelling, Ken Burns's epic documentary brings to life America's most destructive - and defining - conflict. Here is the saga of celebrated generals and ordinary soldiers, a heroic and transcendent president and a country that had to divide itself in two in order to become one. History Detectives: Special Investigations - History Detectives - Special Investigations The History Detectives Special Investigations team brings cutting edge tools to some of our biggest historical enigmas, asking probing questions behind iconic mysteries from America's past. Three investigators team up to solve each case: Wes Cowan, an independent appraiser and auctioneer; Kaiama Glover, professor at Barnard College, Columbia University; and Tukufu Zuberi, professor of sociology at the University of Pennsylvania. As the detectives unearth fresh evidence, sift through clues and crisscross the country in search of answers, they reveal new perspectives on stories we thought we knew. Gettysburg and The Civil War -It was one of the great turning points in American history: a clash of ideologies that spilled over from the political arena and onto the battlefield, where over half a million lives were lost. The war between the Union and the Confederacy saw the country divided along geographical, racial and industrial lines, and few were spared the decision of where to pledge their loyalty. Communities were torn apart, families broken and cities destroyed. Now, travel back to this most significant of times and experience the Civil War as you've never seen it before. This premium collection - comprising a feature-length DVD, a 24-page history of the entire conflict, and a set of rare replica memorabilia and battle maps - pays tribute to the war that divided, almost destroyed, and ultimately defined our nation. Release marks the 150th anniversary of President Lincoln's famous Gettysburg Address. The feature-length documentary Gettysburg: The Boys In Blue & Gray presents the crucial battle of the war as described by the soldiers who took part, with dramatic reconstructions and archive material bringing you closer than ever to the action. Abraham Lincoln DVD- Few figures in American history have achieved such iconic status as Abraham Lincoln. Consistently rated by historians as the greatest president the country ever knew, Lincoln's life reflected the ideals and ethics of a nation. A self-educated woodsman from Kentucky, his desire to improve both himself and his countrymen drove him to the highest political office in the land, but his presidency would be blighted by war, division, and ultimately assassination. This high quality box set pays tribute to 'Honest Abe' and offers a unique glimpse into his life and times. American Experience: The Presidents - AMERICAN EXPERIENCE presents THE PRESIDENTS: eleven 20th century biographies that offer an intimate and compelling look at the men who have defined and re-defined the modern presidency, and who led the country through some of the most turbulent and consequential moments in our history. Focusing on the intersection of public and private, character and history, these presidential biographies have captivated viewers, delighted teachers, impressed critics and won virtually every documentary award worth winning. Most satisfying of all, they have educated a generation of Americans about their leaders and their history, and provoked many American voters to think about what they should expect from the person they elect President of the United States. American Experience: The Great War DVD - American Experience: The Great War The Great War tells the rich and complex story of World War I through the voices of nurses, journalists, aviators and the American troops who came to be known as "doughboys." The series explores the experiences of African-American and Latino soldiers, suffragists, Native American "code talkers" and others whose participation in the war to "make the world safe for democracy" has been largely forgotten. The Great War explores how a brilliant PR man bolstered support for the war; how President Woodrow Wilson steered the nation through years of neutrality, only to reluctantly lead America into the bloodiest conflict the world had ever seen, transforming the United States into a dominant player on the international stage; and how the ardent patriotism and determination to support America's crusade for liberty abroad led to one of the most oppressive crackdowns on civil liberties at home in U.S. history. It is a story of heroism and sacrifice that would ultimately claim 15 million lives and profoundly change the world forever. 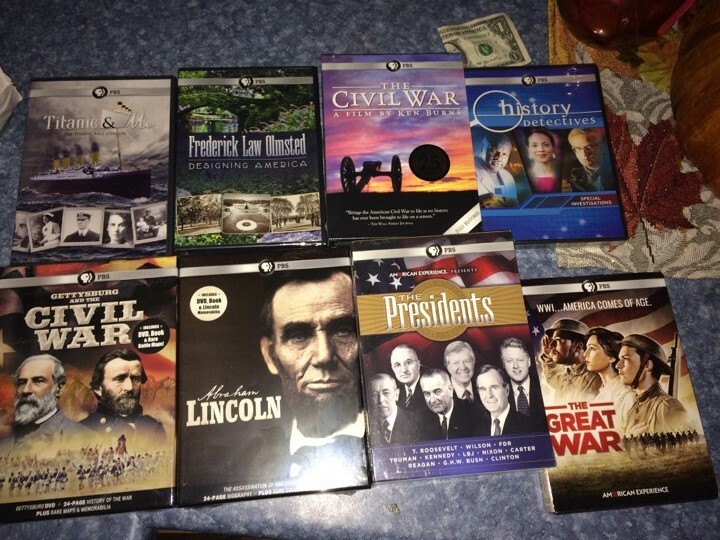 I myself could not have put together a better collection of DVD'S for my little man. And even at 30 years old I could not believe the amount of information I learned! Each dvd (or dvd set) gave you a whole new perspective! And the titles I just featured are just a small portion of what PBS offers!! If you have a history buff in your family young or old you def. want to check them out this holiday season.